Groups is the place for students, faculty and staff to interact and form discussion groups. 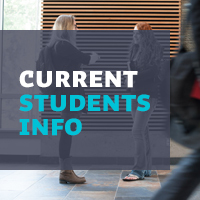 Anyone with a Royal Roads University computer account is able to create a group on this site. Groups can be made public or private. Many programs maintain Program Community Groups here, to provide information for students as a cohort. Program Community Groups are private and will require you to login to see your group. Contact your program office if your Program Community Group does not appear in your subscribed groups block (in the left sidebar) to become a member. Indigenous peoples and military personal who perform duties as ambassadors of sustainability.